How Much Vitamin C Is Enough? The Journal of the American Medical Association (JAMA) recently published the results of a study called “Vitamins E and C in the Prevention of Cardiovascular Disease in Men.” The study lasted eight years and 14,641 male doctors over the age of 50 participated. They were divided into four groups and given either 400 I.U. of vitamin E every other day and 500 mg of vitamin C daily, vitamin C only, vitamin E only or just a placebo. Here is the link to an abstract of the study on the Journal of the American Medical Association website. It is the November 12, 2008 issue. The study concluded that, “In this large, long-term trial of male physicians, neither vitamin E nor vitamin C supplementation reduced the risk of major cardiovascular events.” In CNN’s story about the study the headline is, “Taking vitamins won’t prevent heart disease, studies say.” The headline in the New York Times said, “Vitamins seen as no help in heart disease.” I think it would be more accurate to say that this particular amount of vitamin C did not appear to have any effect on cardiovascular disease. I think it will also, unfortunately, discourage some people from taking these vitamins. The headlines jumped out at me because I have heart disease and I have been reading about ascorbic acid (vitamin C) over the past several days. In everything I have read, much larger doses of vitamin C are recommended. Perhaps the study failed because they didn’t use enough Vitamin C. Would they get the same result if they had used 5000 mg of vitamin C? Linus Pauling, a famous American scientist, was awarded the Nobel Prize in Chemistry in 1954. He believed that ascorbic acid was important in preventing and treating the common cold, heart disease and cancer. He recommended 6,000 to 18,000 milligrams of vitamin C and 3,000 to 6,000 mg of Lysine a day for cardiovascular health. (Linus Pauling was also responsible for the banning of nuclear weapons testing in the atmosphere and he was awarded the 1962 Nobel Peace Prize for his work). Irwin Stone, in his article, “The Genetic Disease, Hypoascorbemia“, said that he was taking 3 to 5 grams of ascorbic acid daily for 10 years ( 1 gram = 1000 mg). He said that this was his estimate of what an adult human liver should be producing under unstressed conditions. He took 20 to 40 grams a day after being injured in a bad car accident. In another article, “On the Genetic Etiology of Scurvy“, Stone suggests that 5,000 to 15,000 mg of ascorbic acid may be optimal based on studies of rats and how much ascorbic acid they make in a day. More scientific studies need to be done to determine just how much ascorbic acid other mammals, closer in size to humans, create. Here is some other information about vitamin C that I found on the web. Human beings lost the ability to manufacture ascorbic acid in their bodies around 60 million years ago due to a genetic mutation. Guinea pigs, certain types of monkeys and a fruit eating bat in India, can’t produce their own ascorbic acid either. That is why guinea pigs are sometimes used in ascorbic acid research. Most other mammals, including goats, can manufacture their own vitamin C and, in times of stress, they can increase how much they make. A goat can produce 13000 mg of ascorbic acid per day. The lack of one enzyme in the liver, L-gulonolactone oxidase, prevents humans from creating their own ascorbic acid. “The whole field of the therapeutic use of ascorbic acid in many diseases other than scurvy is now dismissed because of the confusing and conflicting clinical results in the thousands of papers published in the last thirty years. The application of these genetic concepts to this vast medical literature brings a measure of order out of the chaos. Most of the clinical investigators reporting in these papers were trained to think of ascorbic acid as “vitamin C” and hence they treated these other clinical entities as if they were scurvy, giving only vitamin-like dosages of mg. per day and they reported poor or indifferent clinical results. 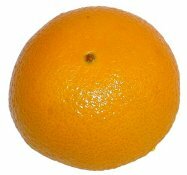 Scurvy is a disease caused by a lack of vitamin C. If not treated, it is fatal. It has been estimated that 2 million sailors died from scurvy between 1500 and 1800. 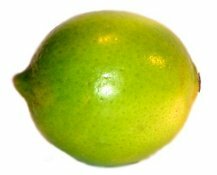 The British Navy began carrying lemons and limes on its ships around 1795 and their sailors stopped dying from scurvy. It’s interesting to me because I don’t recall learning about scurvy while studying the great explorers in grammar school. It doesn’t take much vitamin C to prevent the symptoms of scurvy. Our food today is much fresher and varied than what sailors ate on board ships in the 1700’s and most people get enough vitamin C to prevent scurvy from the normal food that they eat. The Recommended Daily Allowance (RDA) for vitamin C is 60 mg. Linus Pauling, Irwin Stone and others believed that this was not enough for optimum health. They based their beliefs in part because of the amounts produced by animals that can produce their own ascorbic acid. It’s too bad that the latest study was based on only 400 mg of vitamin C.
I have started taking vitamin C and Lysine as recommended by Pauling. Last week I started taking 8,000 mg of vitamin C and 3,000 mg of Lysine a day. After researching this post, I am going to increase that to 10,000 mg of vitamin C and 5,000 of Lysine and see what happens.